Beautifully positioned right on beach, with expansive east and west views and benefits of a corner unit. 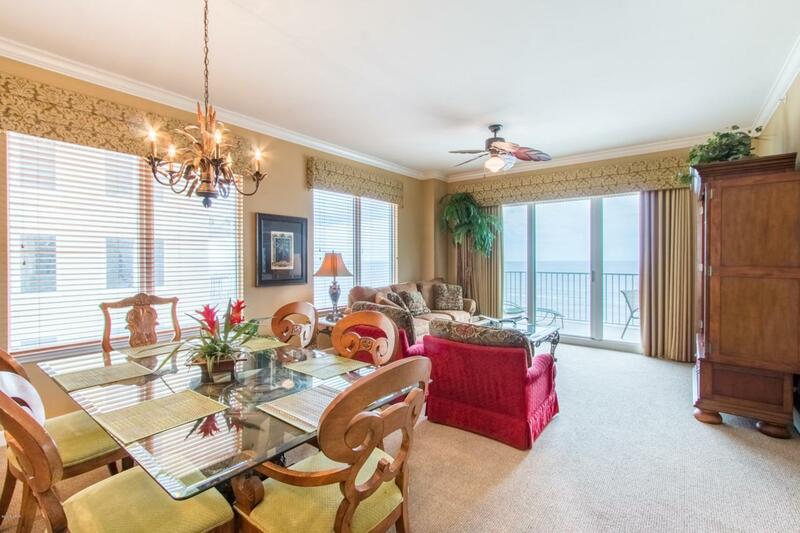 Higher ceilings, quality furniture and decor perfect for a 2nd home or vacation rental. Worry-free & Move-in ready with recent carpet, A/C, refrigerator, washer/dryer & dishwasher. Lower density building, no long waits for elevator - and reserved, easy-access parking. King beds in master & 2nd bedroom, trundle in 3rd, with a queen sleeper sofa in living. Granite top kitchen/baths, numerous windows & generous balcony. Separate tub/shower in large master bath, and gulf-view master location. *carpet & some updates have been made since photos were taken.